This public hearing today is historic because it is the first time both chambers of the Wisconsin Legislature have taken a significant step forward toward accomplishing the long and needed task of reforming and making effective again, Wisconsin’s campaign finance law -- which has been deteriorating and spiraling downward, out of control in almost virtual freefall -- since at least the mid 1980’s. Not even the Legislative Caucus Scandal in 2002, which brought down the top leaders of both legislative chambers in both political parties for felony misconduct in public office related to illegal campaign fund raising, was enough to bring about much needed campaign finance reform. But now, finally, I am encouraged that this long-needed reform can and will happen and today is the first big step forward in restoring citizen trust in what used to be the cleanest and most trusted state government in the nation. 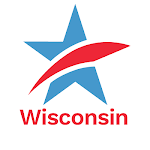 The hearing today on two extremely significant and important campaign finance measures follows in the wake of the most negative, expensive, demoralizing and special interest money-tainted election for Governor--in 2006-- in Wisconsin’s history. That was followed, almost without pause, by the two most negative, expensive, demoralizing and special interest money-tainted elections for seats on the State Supreme Court--in 2007 and 2008. The Supreme Court election earlier this year, while not in the same category in terms of spending and negativity as the previous two, is likely just a brief respite and absent reform, the next one in 2010 is likely to be a replay of 2007 and 2008. Common Cause in Wisconsin strongly supports both campaign finance reform measures being considered by these two committees today. We have long supported the so-called “Impartial Justice” legislation -- Senate Bill 40 and Assembly Bill 65 -- that would provide one hundred percent public financing for candidates for the Wisconsin Supreme Court who agree to limit their campaign spending to $400,000. Obviously, after the horrendous $6 million or more spent on the Ziegler-Clifford election in 2007 and the Gableman-Butler election in 2008 -- most of it undisclosed and unregulated money -- a dramatic alternative to the current system of financing State Supreme Court elections is needed in Wisconsin before the next one occurs. Enactment of SB 40/AB 65 will provide a new, much cleaner and better way to finance such races. I will leave it to others to talk more about the need for this legislation. I will say that the funding mechanism in these measures is excellent and we support it. But we also stand by, ready and willing, to explore other funding mechanisms and indeed, we believe that public financing of elections ought to rely on several different sources for funding so that in times of economic distress and budget deficits, such as the current one, public financing can stand a better chance of surviving. If funding is provided by several different sources of revenue -- such as the current one hundred percent public financing system in place in North Carolina -- then it will be stronger. We are equally if not even more concerned -- and have been for more than twelve years – about the disclosure and regulation of the campaign ads masquerading as issue advocacy -- for not just Supreme Court elections — but for all state elections in Wisconsin. Senate Bill 43 and Assembly Bill 63 have impressive bipartisan and bicameral support and if enacted into law, would close the single largest, gaping loophole in Wisconsin’s loop-hole ridden campaign finance law. It is a measure that has been in the making since 1997 when Common Cause in Wisconsin first proposed a similar version to the old State Elections Board after Wisconsin Manufacturers & Commerce first widely utilized phony issue ads to attack incumbent Democratic legislators. Now, as the utilization of phony issue ads has become the common practice of both Republican-leaning and Democratic-leaning outside special interest groups, it should be an absolute no-brainer for Democrats and Republicans alike, to embrace and support this measure. Furthermore, it won’t cost a dime to the taxpayers when it is enacted into law. There is no fiscal note and it would not have to clear the Joint Finance Committee. It doesn’t violate the first amendment, it doesn’t stifle free speech, and it doesn’t prevent any group from criticizing the government, as its opponents and critics deceivingly claim. It is constitutional and similar laws at the state and federal level have been upheld by the courts—including the nation’s very highest court -- twice since December of 2003. Indeed, the Chief Justice of the United States Supreme Court, John Roberts, said in June of 2007 that if a so-called issue ad is the "functional equivalent" of a campaign communication then it can and should be subject to regulation and to reporting requirements -- a statement that was roundly condemned by Justice Antonin Scalia who favors no regulations or reporting requirements. SB 43/AB 63 would do at the state level what the McCain-Feingold law has accomplished at the federal level which is simply to put teeth back into an existing, more than a century-old law that prohibits unlimited, unregulated and undisclosed corporate soft money to be used – primarily for widely disseminated broadcast ads – to influence the outcome of state elections. The phony issue ads that now proliferate our statewide and legislative elections have undermined a 1906 Wisconsin law that prohibited the use of corporate treasury money to influence elections and SB 43/AB63 would extend that prohibition not only to corporations, but also to the use of union treasury money and money from the general treasuries of Native-American Tribes and other entities. Because these phony issue ads avoid using a few “magic words” such as “vote for” or “defeat:, or “elect” or “support,” they have escaped regulation and disclosure requirements even as they have had the same effect on elections as communications that use such “magic words.” All of us know these ads are a charade and it is well past time that they be brought under control in Wisconsin. As I said before, this legislation ought to be a no-brainer for Democrats and Republicans alike to embrace and support. You all know that the undisclosed, unregulated phony issue ads not only undermine our elections but they also gravely undermine the public policy-making process that follows elections because the specter of that political money hangs over many of the critical policy decisions made in this building. SB 43/AB43 simply stipulates that groups that utilize widely disseminated broadcast communications that depict or mention the name of a candidate within 60 days of that candidate’s primary or general election must use regulated, restricted and disclosed “hard” money to pay for the communications – just as candidates must do at all times. A similar provision in the federal McCain-Feingold law was upheld by the United States Supreme Court in December of 2003. And similar phony issue ad regulation and disclosure laws have been on the books at the state level for many years, including in Connecticut and even in corrupt and lawless Illinois. If Illinois can require disclosure and regulation of all of its political ads, then surely Wisconsin can and must do as much. Twelve years ago, Common Cause in Wisconsin first proposed a measure very similar to SB 43/AB 63 for adoption by the State Elections Board in the wake of the first extensive use of phony issue ads by Wisconsin Manufacturers & Commerce during the 1996 state legislative elections. But the old State Elections Board was too partisan and too divided to do the right thing and could not agree on an administrative rule. The current non-partisan Government Accountability Board, which replaced the State Elections Board, has wisely and prudently written and unanimously passed on to the Legislature an administrative rule that would have essentially the same effect as SB 43/AB 63 in requiring the disclosure and regulation of phony issue ads. In 2000, Common Cause in Wisconsin, working with Senator Judy Robson (D-Beloit) and Representative Steve Freese (R-Dodgeville), put forward another measure very similar to SB 43/AB 63. The measure received strong bipartisan support in passing the Joint Committee for the Review of Administrative Rules and on January 30, 2001, Senate Bill 2 passed overwhelmingly with a strong bipartisan vote of 23 to 10 in the State Senate. The following month it came within a single vote of passing in the State Assembly. Now, more than eight years after that near victory for this measure, there have been millions of dollars more expended for undisclosed, unregulated phony issue ads. In 2001, phony issue ads were considered to be primarily a tool utilized to support Republican candidates and against Democrats. Today, the are a plague on both of your parties with groups like the Greater Wisconsin Committee and the Native-Americans just as likely to pour hundreds of thousands or even millions of dollars of undisclosed, unregulated money into ads attacking Republicans as Wisconsin Manufacturers & Commerce is to savage Democrats. Why would you allow outside groups to continue to use undisclosed and unregulated money for campaign ads when you must utilize only disclosed and regulated money? That’s like preparing to run a race with your feet tied together. This is a simple matter of fairness for candidates running for legislative and statewide office. And it’s a simple matter of fairness for the citizens of Wisconsin to be able to know who is paying for the communications they are forced to endure at election time. Consideration, passage and enactment into law of both the "Impartial Justice" legislation (SB40/AB 65), and the "Phony Issue Ad Disclosure and Regulation" legislation (SB 43/AB 63) is critical to the process of beginning to restore citizen trust and confidence in Wisconsin’s elections, in our public policy-making process and in state government. I urge you to stand up and face down the tremendous pressure that special interest groups will exert upon you to vote against these long needed reforms. Your children and grand children will be grateful to you for doing the right thing. The prospects for campaign finance reform have not been brighter than they are right now since the late 1970s. Common Cause in Wisconsin urges you to seize this opportunity and run with it.